Resource-extraction economy faces inherent tensions between development and protection. From the top of Mt. 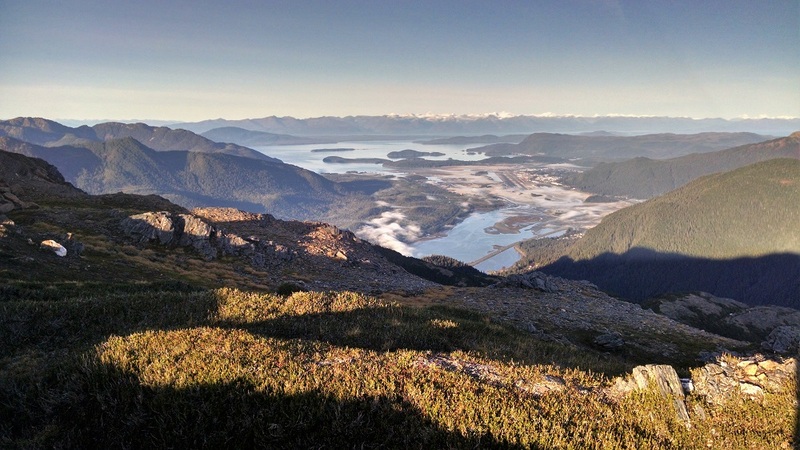 Juneau, a hiker sees a panoramic view of the southeast Alaska coast. Click image to enlarge. JUNEAU, Alaska — Fed by Lemon Glacier, Lemon Creek, just 11 kilometers (7 miles) in length, flows steeply and quickly through a deep valley and past a jail, a landfill, and a Walmart before mixing with the saltwater of Gastineau Channel. At dinnertime on October 22, Lemon Creek flowed at a rate of 608 cubic feet per second (cfs), according to a U.S. Geological Survey stream gauge. Creeks of comparable size are a dime a dozen on the southeast Alaska coast. That same evening, thousands of miles away, the Rio Grande, one of the iconic rivers of the American West, flowed at 698 cfs near Albuquerque, in central New Mexico, and 542 cfs through Big Bend National Park, in Texas. Below Elephant Butte reservoir, in southern New Mexico, the gauge did not register any flow at all. The river, trapped by the dam and used for alfalfa, pecans, and peppers in the Mesilla and Rincon valleys, was a dry bed. The rivers of the Southwest are landmarks in our cultural imagination and titans of our geographic mythology. But on the whole, and aside from big snowpack and monsoon years, they are relatively tiny rivers. I used this comparison to lead off a talk I gave in Juneau on October 23. The Juneau World Affairs Council, a nonprofit group that hosts lectures and events, invited me and six other guests to speak on the topic of water politics. The Lemon Creek/Rio Grande example, though imperfect because it compares flows on a fixed date for rivers that fluctuate seasonally, nonetheless illustrates the startling hydrologic gradients in the United States. It also reveals why a few persistent entrepreneurs want to send Alaska water south, to California, India, or the Middle East. The day I arrived, in fact, the Juneau Empire, the daily paper, ran an opinion column from a resident who, because of Alaska’s budget shortfall and California’s drought, supports the water trade that the town of Sitka is attempting to pioneer. “This is the time to look for answers for both Alaska and California, and it may just be water,” the author wrote. The economics of the business right now do not make sense, but what is happening in Sitka is an old story with a new cast and a different commodity. The Alaska economy revolves around natural resources. State coffers boom and bust, crest and trough, along with the cycles of consumption and regulation that govern market goods. Alaska’s fortunes, as they were before statehood, are netted, scratched, pumped, and felled from the waters, slopes, and tundra of the Far North. Old mining sites dot the basin of Gold Creek, which flows through downtown Juneau. Mines flourished beginning in the 1880s before being abandoned during World War Two. Click image to enlarge. New jewels continually dazzle. Gold in the 19th century. Timber and oil in the 20th. The fishing business — and its peril — were revealed on Deadliest Catch, the TV hit whose crew is based in Dutch Harbor. The latest gambit is a $US 45 billion to $US 65 billion, 1,287-kilometer (800-mile) natural gas pipeline from the North Slope to Cook Inlet, near Anchorage. There the gas will be liquefied and sold on the global market, mainly to China, Japan, and Korea. The state, however, cannot build it alone. Lawmakers gathered in Juneau on Saturday for a special session to discuss pipeline financing, the budget, and other matters. With water, the industry that most worries residents of southeast Alaska, at least those I met at the forum, is mining — particularly mines proposed in British Columbia on rivers that flow into Alaska. History, again, repeats. Juneau itself has mining roots. Prospectors found gold in the Last Chance and Silverbow basins in the 1880s. Mining companies built dams and wooden flumes to carry water that powered the stamp mills that crushed the ore. Until World World II, Juneau was of one of the world capitals of gold mining. New mines are opening or proposed for several basins in southeast Alaska and British Columbia. 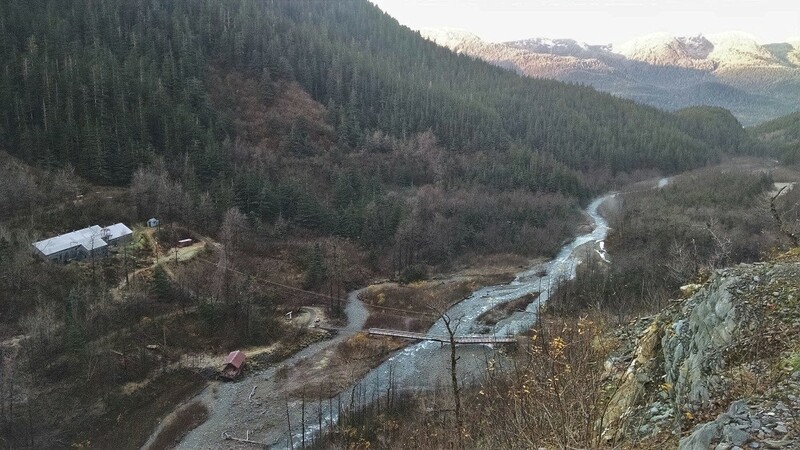 Chieftain Metals wants to reopen an old zinc, gold, and copper mine in the Taku watershed, one of the top salmon rivers in southeast Alaska. Several proposals are on the table for the Stikine watershed, also prime salmon habitat. Opponents point to the dam collapse at Mount Polley, a gold and copper mine in central British Columbia, as reason to be cautious. The tailings pond failure in August 2014 spilled 17 million cubic meters of water and 8 million cubic meters of mine waste. There were a number of missteps. An independent engineering assessment found that the design of the tailings dam was flawed. It did not account for the complexities of the site’s glacial soils. A government report found that the province knew about safety risks at the mine but was not legally required to share them. The lack of disclosure and the potential for damaging failures is what worries conservation groups in southeast Alaska. Even all the water in the world is not much benefit if it is polluted.